While So Delicious provided sample product, this review is not sponsored or influenced in anyway and remains the author’s own opinion. 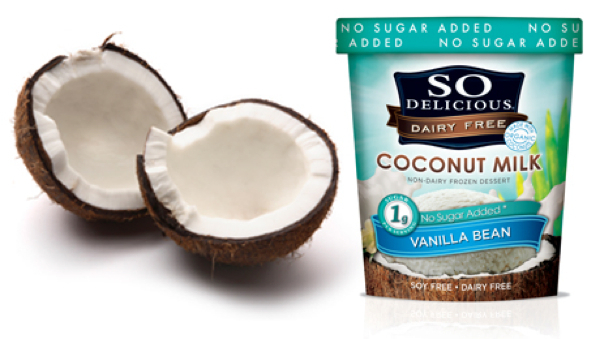 Dairy-free, soy free, gluten-free, vegan….the list of food sensitivities is growing more rapidly than ever. More and more people are becoming aware of what their bodies feel best on. For an ice cream lover like myself, finding out I was sensitive to dairy seemed like a death sentence. But fear not! 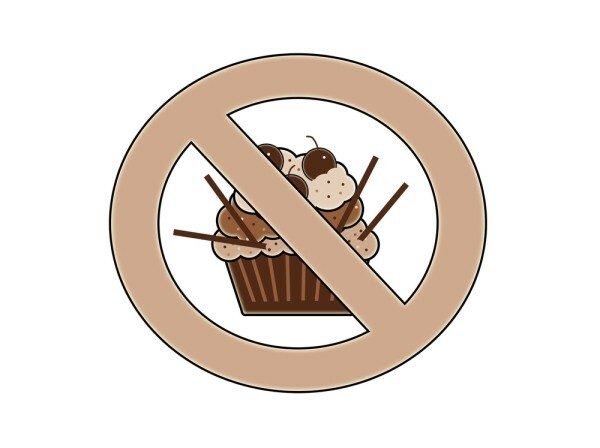 This does not mean you cannot still enjoy your favorite frozen treats. I’ve tried many of the ice cream alternatives out there– and let me be the first to say that soy ice cream doesn’t exactly do it for me. I’d even become willing to settle for frozen smoothie popsicles or blended frozen bananas. My favorite is still these Chocolate Banana Popsicles to make at home on a hot summer day. But then I heard about and tried So Delicious coconut ice cream and the tables were turned forever! As someone who doesn’t love coconut-flavored things, I was hesitant. Much to my surprise, the vanilla bean flavor ended up at the top of my list. I tossed on some fresh raspberries from my local u-pick berry farm and could really not tell there was coconut milk involved! Regular dairy ice cream eaters tried this flavor and they thought it tasted like Dairy Queen vanilla. Score! My favorite dessert started as something I didn’t even think I’d like. Friends presented a bowl with vanilla ice cream and strawberries and a dark, seemingly chocolate glaze poured over the top. But it didn’t smell like chocolate, and I knew the move was far too pedestrian for these foodies. They said it was a balsamic vinegar syrup. I loved balsamic — I mean, I could seriously drink the stuff! — but I wasn’t sure how that was going to go with dessert. Well, I’m here to tell you it was like sky rockets in flight, after dinner delight all up in my mouth! It’s become my go-to dessert for dinner guests when I want something that appears super fancy but takes less than five minutes to prep and assemble. Yes, fancy and five minutes in the same sentence! But if cupcakes are out, and the croissant-hybrids aren’t yet huge sensations, what is the next dessert fad? It was, in a word, heavenly. Much denser than most other ice cream bars thanks to the reduced amount of air added to the formula. 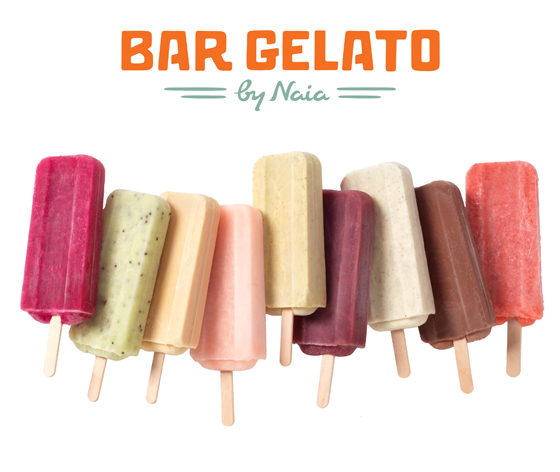 Much more flavorful than a lot of other ice pops and frozen treats I’ve had, thanks to the natural flavors. And, on an unseasonably sunny and warm day it really hit the spot. Of course, there’s always a trade-off. This afternoon indulgence weighed in at a fairly reasonable 169 calories, but it was still more than I’d bargained to eat as a snack. 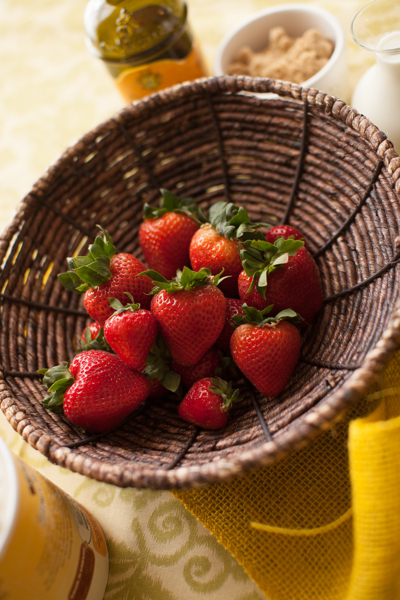 There are some foods that are better enjoyed at a restaurant. Parfaits are not one of them. They’re often way too sweet, more so than is necessary. 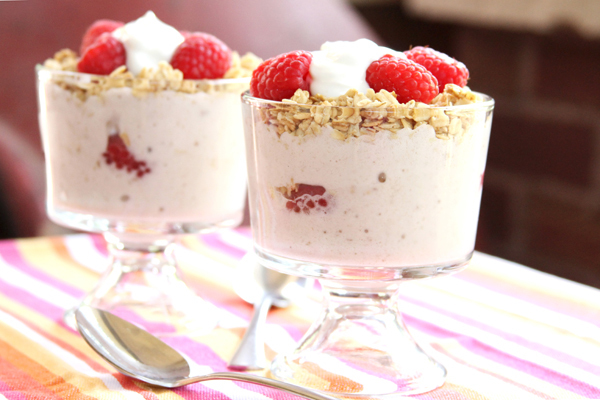 A breakfast parfait should be light, subtly sweet, and filling. And that’s exactly what we’ve created. Megan is a pizza-lovin redhead who’s known for her unique recipes and food styling. 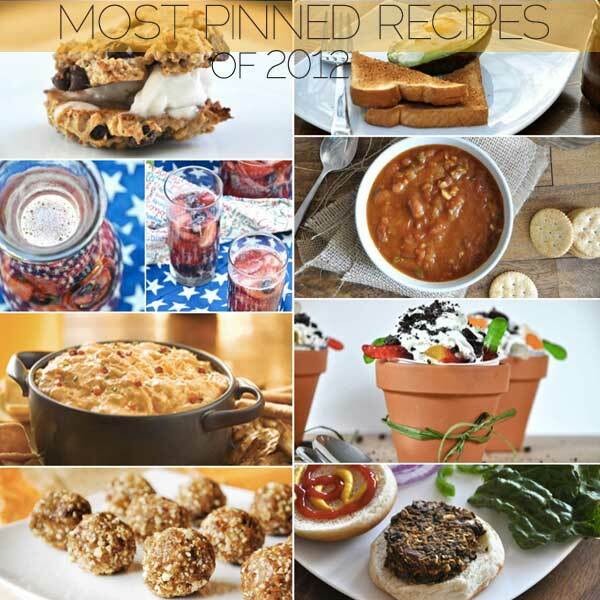 Megan is not only a regular contributor to Betty Crocker, but her blog, Take A Megabite, has also been featured on CNN, Huff Post and Buzzfeed. I forgot to do a name-drop alert, there, but seriously, she’s hot stuff right now. I was first introduced to this talented foodie when I wrote about my fave food blogger of the year, Billy from Wit & Vinegar. Why did you start your food blog? I started to realize that I wanted to bake, and talk about food with other people who also loved to talk about food. It also stems from growing up with a mom whose cookies were known as the best ever and coming home to homemade bread after school. When I got older, and my parents moved away, I realized that I couldn’t count on my mom to set me up with homemade jam and bread. I had to make it myself! Food and entertaining has always been a big deal in my family, and now, I like to show my love with food too! How would you describe your approach to eating/health? I would say my approach is all about balance. I can totally eat cake, but I need to eat plenty of salads and veggies too. If I’m making mac & cheese for dinner, I’ll do my best to pair it with a veggie-filled salad. Every holiday comes with its traditional fare. During Lent the fast food chains bombard us with fried fish sandwiches. People lose their minds over Cadbury Easter eggs each spring. Candy corn makes Halloween more enjoyable. And for most of fall we add pumpkin to anything that will sit still. Few restaurants other than your surly neighborhood Irish pub get any attention on St. Patrick’s Day, but during the last ten years, McDonald’s has moved in on that market. They didn’t do it with corned beef or potatoes or even soda bread, but instead with something not even remotely close to being Irish. They did it with ice cream. 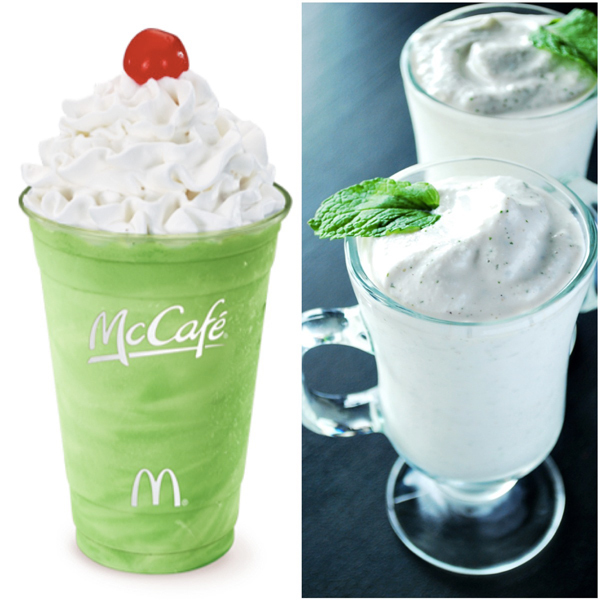 Their Shamrock Shake has almost become the stuff of drive-through legends, falling behind its popular brother the McRib. 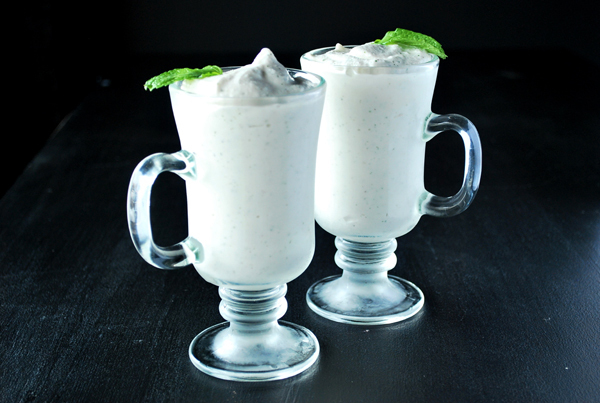 With much fanfare the restaurant announces “It’s Back!” and fills customers with this cool, creamy mint shake just in time for St. Patrick’s Day. Other than the fact that mint is green and St. Patrick’s day is green, we’ve yet to find much connection between the holiday and the herb. I like food trends far more than I do fashion trends. For one, even if cupcakes aren’t “in,” it’s still socially acceptable to eat them. The black Crocs in the back of my closet, well, I’m saving those for a bad Halloween costume. One of the biggest food trends this summer has been the one ingredient banana ice cream, which we shared a few weeks ago. For those who love ice cream or have a sweet tooth, it’s got to be the best idea ever. Freeze bananas, blend, and watch it turn in to a creamy ice cream texture that would have you believe it’s the real deal. Except, it’s totally good for you. How could it not be when it’s just bananas? Well, I don’t love bananas, but I do have a full blown obsession with avocados. That creamy, buttery flavor that’s neutral enough to go with just about anything… could these be my banana ice cream? 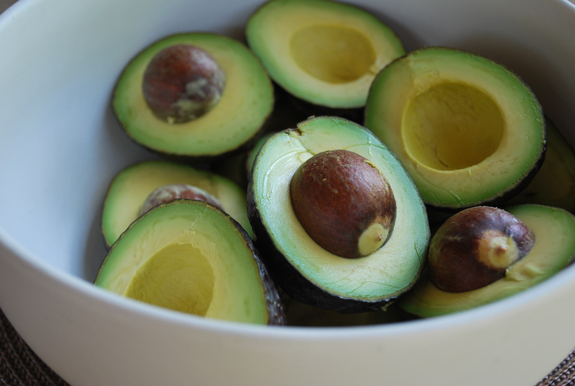 I started with six avocados and split them lengthwise so the pit could be removed and the flesh easily scooped out. 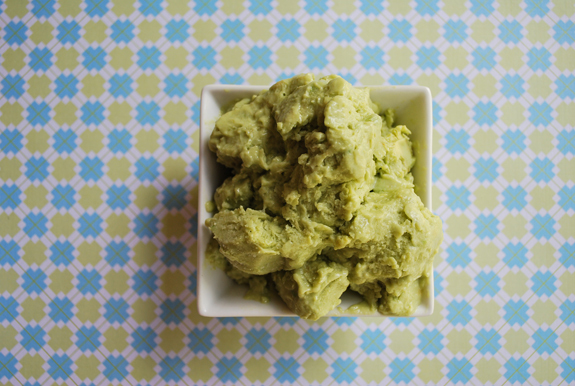 These avocados were perfectly bright green and separated from the pits without much mess. They were also a little firmer than I might ordinarily use for guacamole, but certainly not nearly as hard as the ones you could play baseball with. 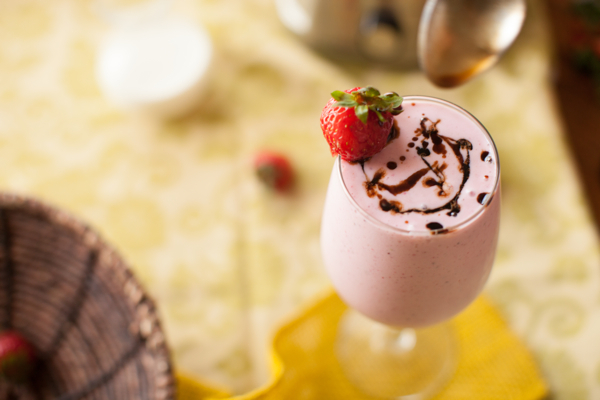 Frozen Yogurt vs Ice Cream: Which is Healthier? Unlike most summer dessert eaters, I crave frozen treats all year-round and simply can’t get enough of their sweet, creamy texture. But because I indulge so frequently – at least once a week – I try and keep my choices healthier by avoiding full-fat ice creams and keeping the toppings on my ‘froyo’ tower to a reasonable minimum. Nutritionally speaking, frozen yogurt is perceivably healthier than ice cream because it typically contains live active cultures, and is often available in low- or no-fat and reduced-sugar varieties. 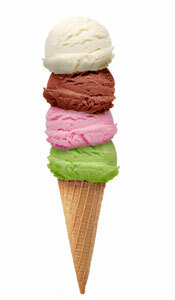 Ice cream, on the other hand, is typically laden with fat and rarely comes in low-sugar flavors. Let’s keep track of the points, shall we? Frozen yogurt: 1: Ice cream: 0. When my ears heard the words “50 calorie ice cream” I stopped to listen. It was a promo for an afternoon talk show and I wasn’t home to catch the segment. I nearly forgot about it and then I read the same phrase online and figured enough was enough. What was this miracle that they were referring to? 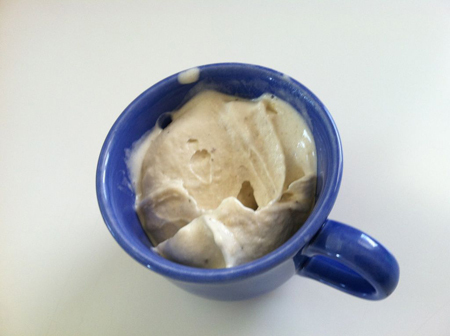 A little searching lead me to many sites about a low-calorie, one-ingredient ice cream. It seemed too good to be true, but then I learned this dessert oasis was nothing more than pureed frozen bananas. The word was that this one ingredient would create a sweet treat that was just like ice cream. Not believing what I was hearing, I had to find out for myself.